Skip Skinner still remembers hiking up to Lost Camp as a kid. The “camp” was Skinner’s name for a spot nestled up a hiking trail above the town of Appalachia, Va., where a hand-built log shelter had been erected against the base of a cliff. 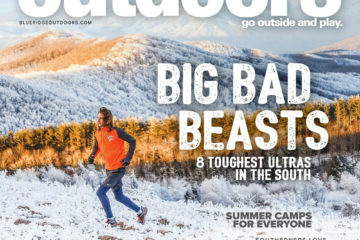 The steep terrain of the Cumberland Mountains lends itself to isolation, and the spot was one of those places where you could find the wilderness fast. “It felt like we were the first ones to discover it,” he says. 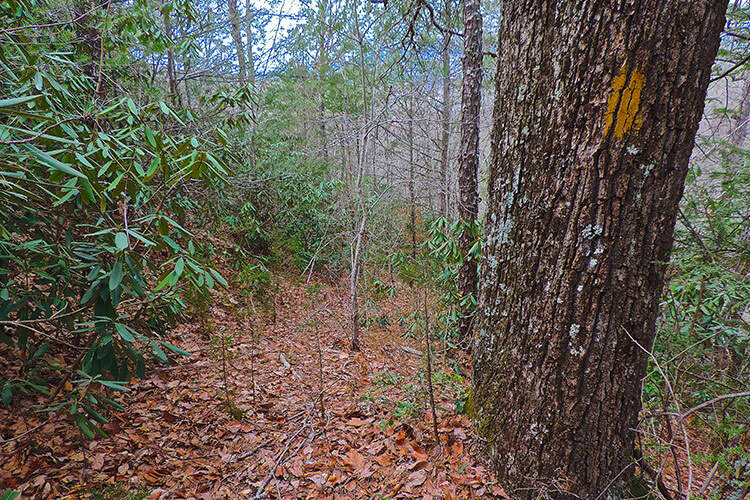 The trail Skinner remembers has its roots at least as far back as the 1950s, and throughout the years, it’s gone by any number of names—Lost Camp, the Appalachia Loop Trail, and the Dark Hollow Trail, to name a few. 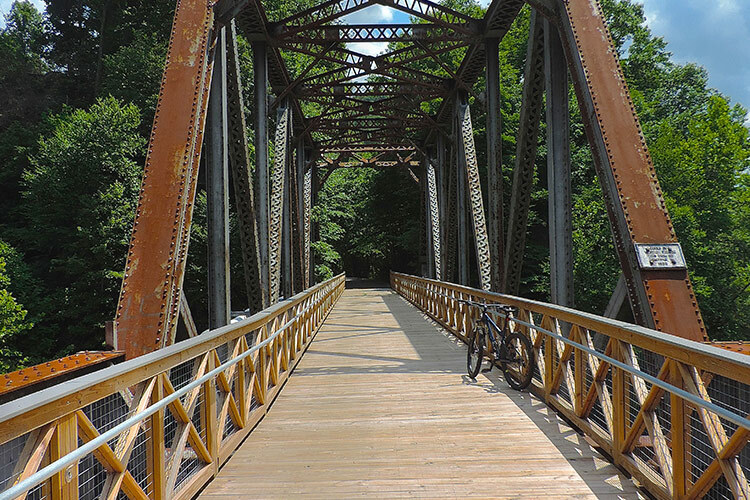 But until recently, it had been nearly forgotten, lost to a lack of maintenance and the economic collapse of the nearby town that hosts its trailhead. Just like the region that gave it its name, the town of Appalachia has a long and storied history, one inextricably linked to the boom-and-bust nature of the coalfields. Once a thriving hub for several coal camps along the Louisville and Nashville Railroad, Appalachia at its heyday was one of the larger towns in the mountainous region where Virginia, Tennessee, and Kentucky intersect. A melting pot of ethnicities and cultures settled there to work in the mines, and for decades the town was a bustling commercial center. But that all changed with the collapse of the coal industry. Today, Appalachia is a shadow of its former self, with census tracts surrounding the town hosting poverty rates that approach double the national average. And as the town declined, so did the trail up to Skip Skinner’s Lost Camp. No one seems to know exactly when, why, or how the trail became abandoned, but by the time Appalachia found itself deep in the grips of economic distress in the early 2000s, the trail up Dark Hollow had been all but forgotten. 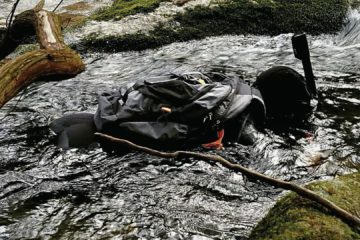 The story of Dark Hollow illustrates a hard truth about any trail in the southern mountains: trails need caretakers, and without them, a footpath can disappear. Government agencies’ budgets change, shifting priorities away from recreation. Maintenance groups dissolve. Dedicated volunteers die or move away. 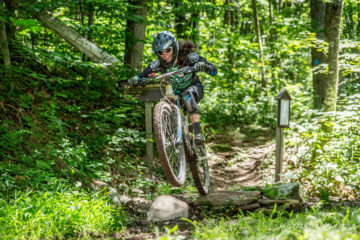 Almost every part of the southern Appalachians has trails that have been lost to time. 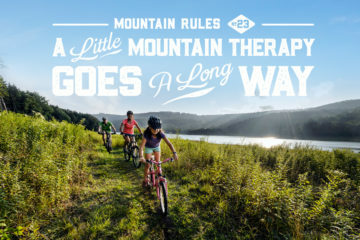 Many of the Smokies’ rugged, lesser-known “manways” are in reality former trails that have all but faded into obscurity. 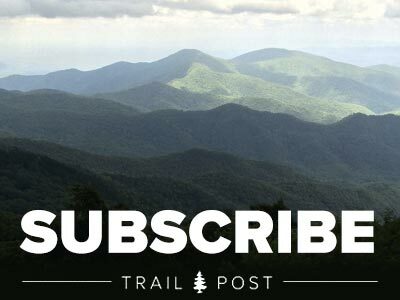 Even North Carolina’s popular Fires Creek Rim Trail—one of the few singular, long loop trails in the Blue Ridge—was on the verge of being lost as recently as 15 years ago, when a volunteer group saved it from the brink. For Brian Falin, that need for a caretaker has turned into a calling. 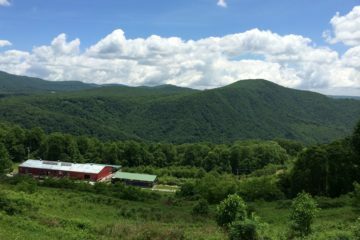 Falin is a member of the Appalachia Historical and Trailheads Committee, a special interest group formed within the last year and officially recognized by the town’s government. The Committee, he says, set out with the idea that there was more to Appalachia than its economic hard times. In just a few short months, the Committee has played an instrumental role in developing the Powell River Trail, a 1.7-mile, multi-use path along a former railbed on the outskirts of town. 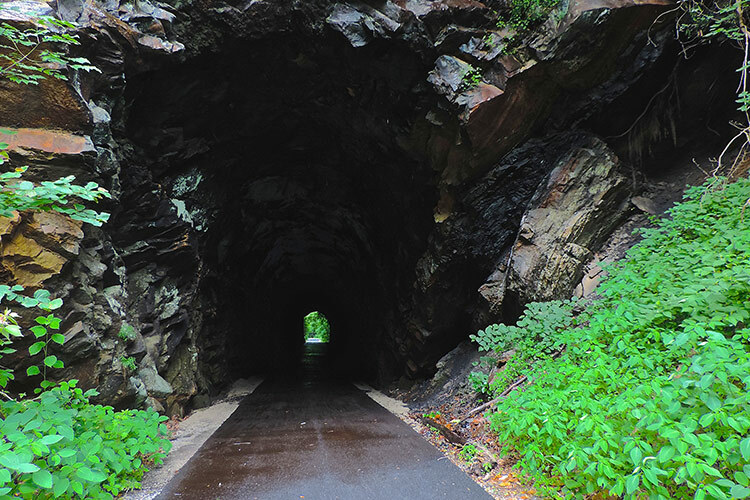 The trail traverses jaw-dropping scenery above Class IV whitewater and passes through two historic railroad tunnels. 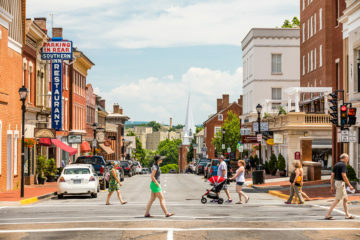 Group members have also been working to connect existing trails and develop historical designations for Appalachia’s downtown. 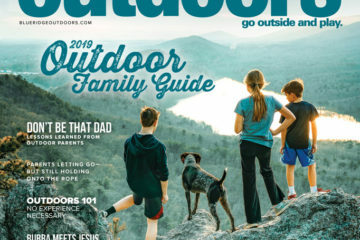 Part of that work, Falin says, has focused on the trail—Skip Skinner’s Lost Camp is now officially called Dark Hollow—that had long since faded back into the woods. “The bottom section of that trail is just gorgeous,” he says, adding that the group found the route in better shape than expected when they recently set out to assess it. Over this past spring, the Committee worked to clear and reblaze the trail through a partnership with the U.S. Forest Service. 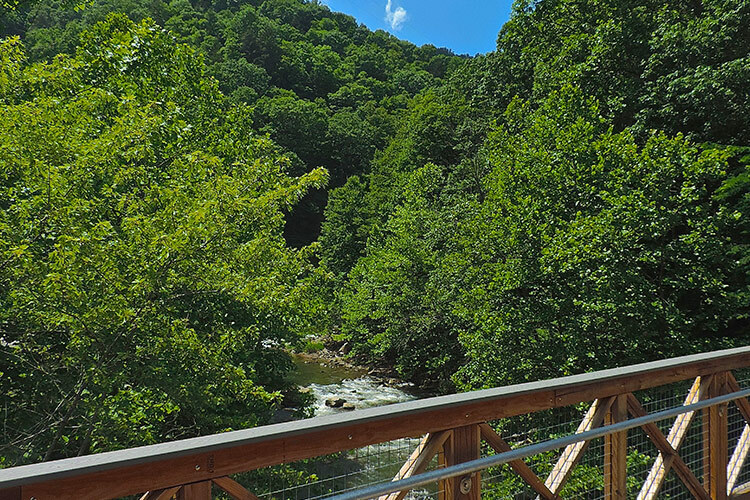 Now, a 1.4-mile path climbs from the edge of Appalachia’s downtown district up the rugged backside of Cumberland Mountain, ending at a massive sandstone outcrop overlooking the gorge below. Beth and Neil Walker are some of those people. Residents of nearby Norton, the Walkers recently seized on the idea of reconnecting residents to the outdoors. 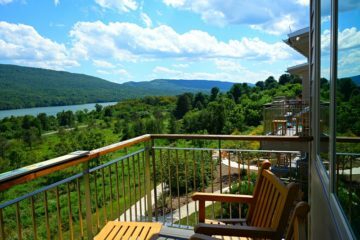 This spring, the couple opened Stone Mountain Adventures, a rental and guide service focused on exposing residents to the assets that towns like Appalachia have been building. 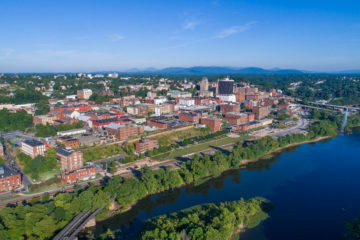 While Appalachia still has a long way to go to solve its economic woes, the town’s work at Dark Hollow has been one spark needed to ignite that momentum towards new economic growth. 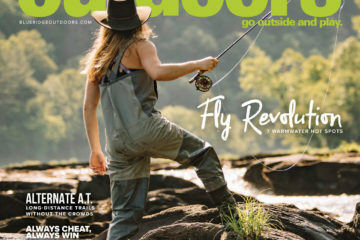 Appalachia, Va., may be shedding its historic role as an example of struggling coalfield communities and becoming a model for how the outdoors can bring those communities back to their roots. This spring, for example, Skip Skinner went back to Lost Camp, nearly four decades after he’d first visited as a kid. Things had changed in all that time, of course. The forest was noticeably older, and Skinner was retired following a successful career leading the regional planning district. 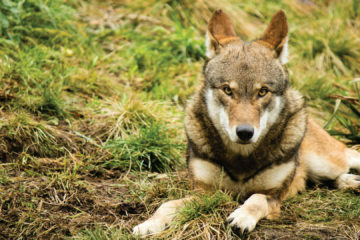 He wasn’t able to find the old shelter along the trail that he had visited when he was younger, but one familiar thing did stand out to him. Before leaving, Skinner says he took a moment to record the sound of that water with his smartphone. After all, some places are just too special to lose.